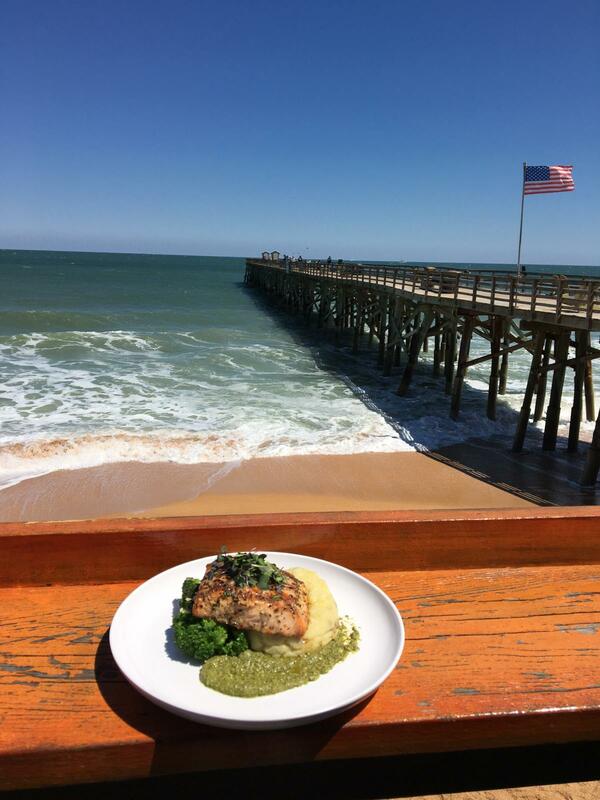 Expansive views of the ocean and the Flagler Beach Pier draw you into the restaurant, the relaxed atmosphere invites you to linger awhile. Dine inside in our newly renovated airy eatery or outdoors on our wide deck for a distinctive seaside al fresco experience. 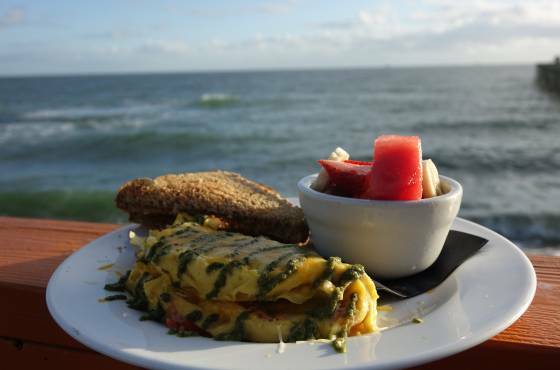 Both settings include full service bars and breakfast, lunch and dinner fare. We serve a diverse menu of delectable choices, with offerings to satisfy everyone's eating pleasure. Traditional favorites such as omelets, biscuits and gravy with sausage, burgers, steaks and seafood accompany unique specialty menu items including peanut butter and jelly french toast, orange creamsicle flappers, paellas and our Jamaican Me Funky. Salads, soups and appetizers are varied and bountiful. 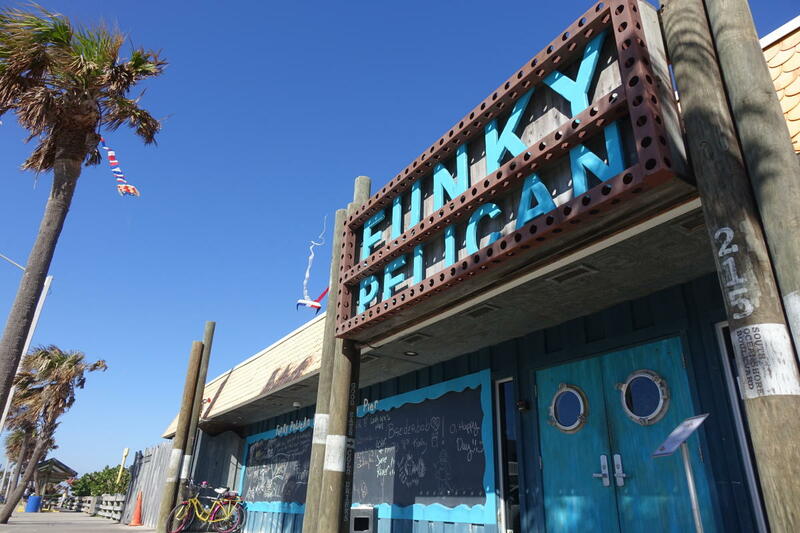 Our landmark location by the pier, and our setting as the community hub from which to explore our quaint seaside town, set the Funky Pelican apart as a local, regional and area visitor dining destination.